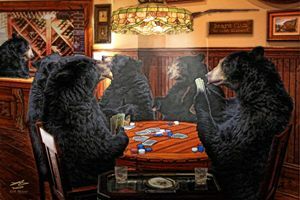 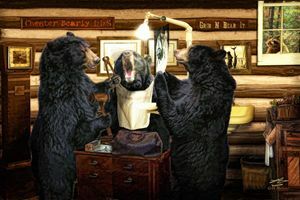 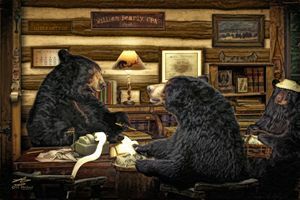 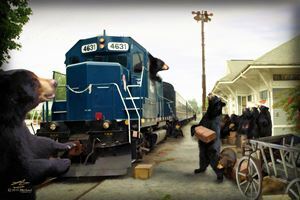 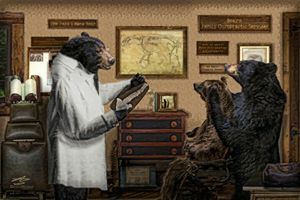 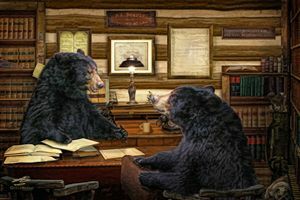 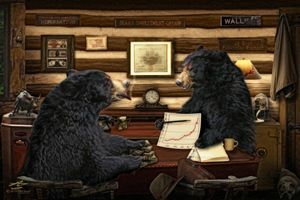 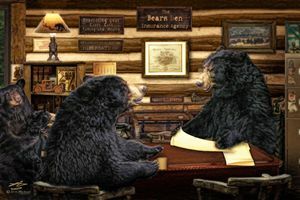 This one of a kind Professional Bear Rendering created by Graphic Artist Michael A. Woodside could very well be the most talked about and enjoyable print on displayed in your office or home. 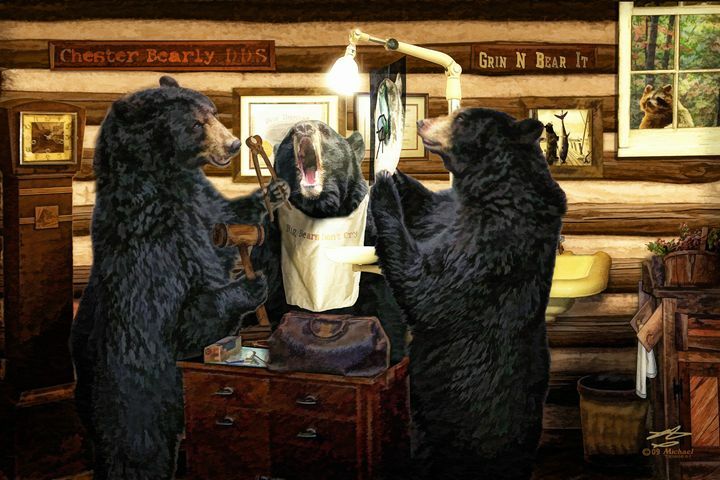 Your clients and associates will enjoy them as much as you! 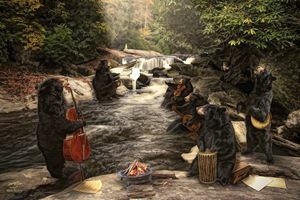 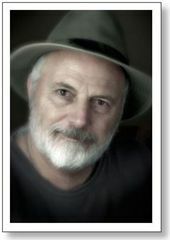 In more recent years where Michael has been spending most of his time in the Western Carolina mountain regions he has directed his talents along with his sense of humor and creativity to what he calls His "Professional Bear Series." 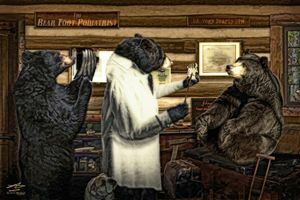 The over whelming success in this venture has caused him to continue to add professions to this collection. 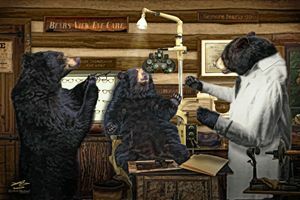 Currently there is The Doctor, Foot Doctor, Eye Doctor, The Accountant, The Attorney, Insurance Agent, The Dentist, The Investor, Foot Doctor and The Chiropractor. 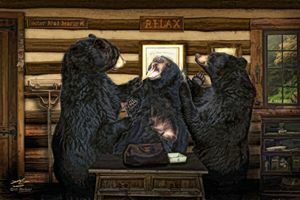 Not only will these prints make exceptional gifts to friends relatives and co workers, your clients and associates will appreciate your thinking about them, when they see that you displayed one of Michael's Professional Series Bear Prints' These one of a kind prints will be the most talked about and enjoyed prints on displayed in your office or home. 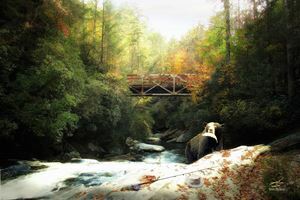 "One Day All This Will Be Yours"